“John Yancey” is the second album Illa J will release on Jakarta Records, following the successful release of HOME last year. The project is the second collaboration with Los Angeles based producer Calvin Valentine, who once again contributed all of the production for the long player. 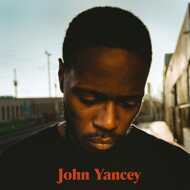 While “Home” was largely inspired by Illa’s native city of Detroit, “John Yancey” now focuses on his time in California. While the story of the album might have changed, there are certain continuities as well, built around the strong foundation of the combination of Illa’s voice and Calvin Valentine’s soulful sample based production. The previous album already saw Illa J incorporate more singing into his raps and he goes down this path even further: “I wanted to emphasize the singing but use more of my natural singing voice, as well as rap more than on HOME.” In regards to the music, Calvin wanted to make the project sound “a bit more polished where HOME was purposely rough around the edges.” Still, the production remains soulful and rich with layers to leave things interesting for the listener, the more spins you give the record. The cover was created by Robert Winter, a Cologne based photographer who was also behind the visual appearance of HOME.